The 1st Saturday of each month we will be at the Care-a-Lot in Virginia Beach located at 1924 Diamond Springs Road. The 2nd Saturday of each month we will be at the Care-a-Lot in Newport News located at 301 Oyster Point Road. The 3rd Saturday of each month we will be at the Care-a-Lot in Virginia Beach located at 5457 Indian River Road. Want to meet a Greyhound in person? 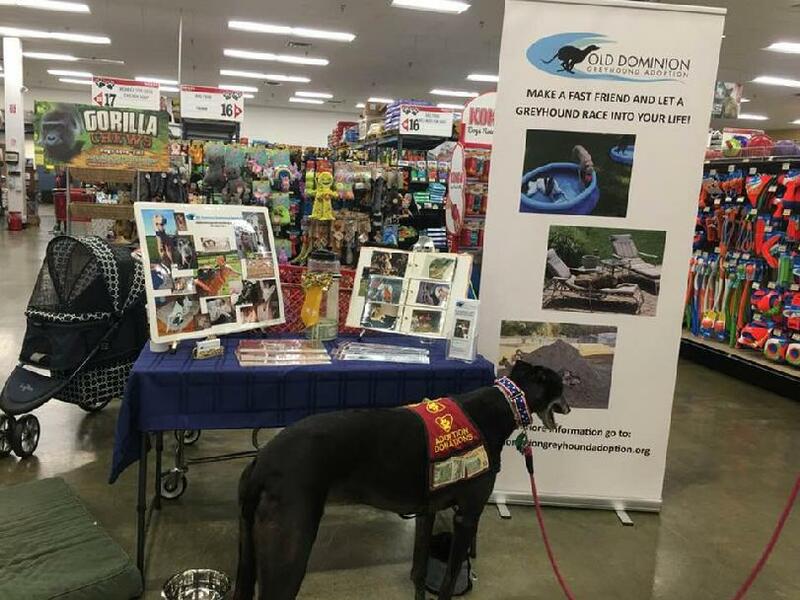 Each month we hold a Meet & Greet at Care-a-Lot stores where you can come out and meet a Greyhound and find out more about how to adopt one of these wonderful hounds. Click on the Events Calendar to find out where and when you can see and meet the Ex-Racing Greyhounds.